"The voice belongs to Jesse Pearson and the repeated phrase is 'You see'. If you follow the lyrics on 'Drowned World' and 'Why I Follow the Tigers' you’ll find 'Drowned' follows the plot line of 'Tigers', which is why Anita [Kerr] and I receive co-author credit on the song and not merely 'sampling mention'." 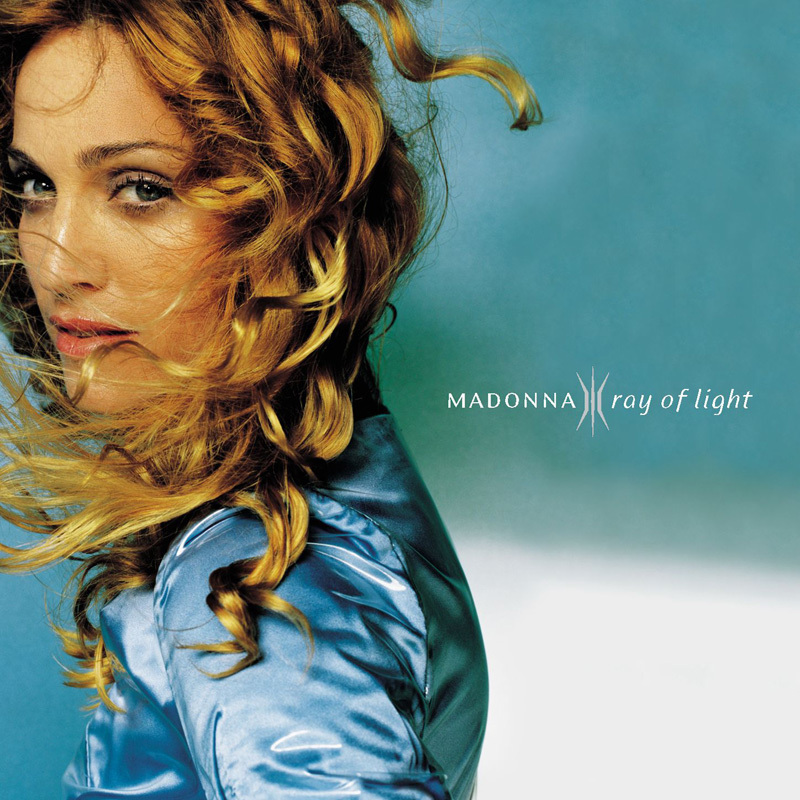 This third Ray Of Light-single was released on August 24, 1998, only outside the US. The song clearly shows how Madonna, especially since Lola's birth, has matured. She realized fame can be a substitute for love, but it's not the most important thing in life. In the charts, Drowned World reached #10 in the UK and Japan, #5 in Italy and #16 in Australia. It was a #1 hit in Spain. The video, directed by Walter Stern, shows 'a day in the life of Madonna'. In the morning she leaves her home and is awaited by tons of paparazzi, following her around. Arriving at a hotel, crazy fans try to get to her. She constantly has to run and hide, even from the other celebs in the hotel bar. In that scene all faces, except Maddy's, are distorted to make everyone look demoniacal. A touching moment is when Madonna meets the room girl that smiles at her and sees her as a person, but then gets out a camera and sees her as a famous object. Finally Madonna comes back home to find the only true love, her daughter that loves her as a person and not as a celebrity. The child in the video isn't Lourdes however, it's a 'Substitute for Lola'! The video was criticized for similating Princess Di's death. But of course, being followed by paparazzi is also an element of Madonna's daily life. Since the Drowned World Tour was named after this song, it was also the opening song. Madonna came on stage in a red kilt on top of a black cyber-punk outfit (in the US she changed this outfit). She gave a stunning performance, standing on a rising stage, surrounded by smoke. This symbolised the birth of Venus, while the stages of the musicians, drifting apart, symbolised the continents during the creation of the (drowned) world. Imagery of blue water effects stood for the element of the first part of the show: water (followed by air, earth & fire)! On the Confessions Tour Madonna took a moment to address the fans and ask them where they are from by showing their flags. She urges everyone to unite and stand up against war ("Repeat after me! No more war! We want peace! F*ck George Bush!"). While she stays seated on the steps of the catwalk, she then performs Drowned World, stripped down to a beautiful acoustic version. No fancy video or choreography, just concentrating on the beauty of the song itself. And that way it's done all justice. Fans respond to this intimate moment by waving their hands - and lighters - in the air. The song made a minor comeback during the London show of the Rebel Heart Tour on December 2nd, 2015. Flanked by guitarist Monte, Madonna gave a beautiful rendition of the song on the heart stage, shaking hands with fans in the front rows and leading them into a wonderful singalong. The song was only performed that one show. 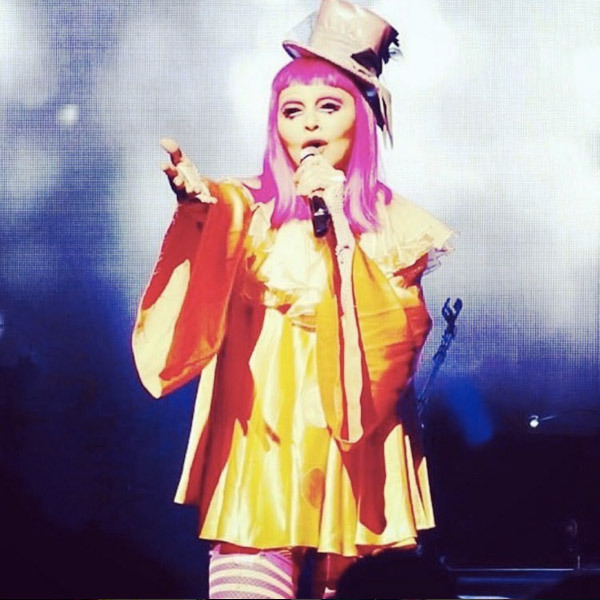 Drowned World was also part of the setlist of the one-off fan show Tears of a Clown, performed in Melbourne on March 10th, 2016. Though the beginning of the performance was a bit off, it turned into a heart-warming performance, with the lucky crowd cheering and singing along.